There’s a trend in flexible office with no signs of slowing down. 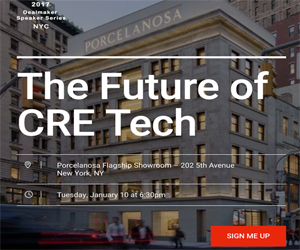 As demand for flexible office grows more rapidly and widespread, the traditional commercial real estate world has an opportunity to capitalize. LiquidSpace is here to bridge the gap between demand for flexible office and the rest of the CRE industry. Our answer to the flexible office void is altSpace – a design first fit-out solution that can transform essentially any commercial space into a turnkey office space within 60 days. We’re here to revolutionize the industry by filling the empty spaces, not just in office space, but in commercial real estate as a whole. Building owners, in particular, can reap significant benefits. Read on to see how altSpace can benefit you. If you’re a building owner, you’re constantly looking for ways to reposition your portfolio to attract more types of tenants and a greater pool of potential clients. Our new altSpace solution is an incredible asset to attract new, exciting tenants, particularly fast growing teams. The power of our marketplace is the marketing and merchandising we are doing on behalf of building owners and venues to attract new tenants. With the altSpace program, your suite is listed on LiquidSpace.com with renders and visuals of the furnished suite, and marketed as a flexible office space, to be ready for a tenant in 60 days. The thousands of young companies and enterprises that use LiquidSpace will now have the opportunity to rent your office space at the click of a button. You also have the power of the LiquidSpace broker network and sales team to connect in-demand tenants to your property. So how can you attract these high potential tenants? Tearing down the building is out of the question because it’s time consuming and hugely expensive. So you have to consider how you can revitalize the property to make it attractive to young companies, without significant resources. These type of signature tenants and big names can add lots of value to your property. Can you imagine the value of having a Fortune 500 company in your space? Use altSpace as your perfect solution and get underway. To get your space altSpace-ready you’ll start at SpecZero™. SpecZero is the raw space, at its minimal form. Paint the walls, expose the ceilings, take out unnecessary furnishings, and remove the majority of interior walls. Taking a space from whitebox to tenant-ready is expensive. But it doesn’t have to be. SpecZero is a warm shell standard, which outlines simple specifications. With SpecZero you can get to a prebuilt state without the prebuilt cost, which can be up to $75-100 per sq/ft. SpecZero is our way of reducing the time and costs associated with a TI project. Once at SpecZero, the furnishings and kit components are financed through the altSpace program, reducing your capital outlay to make way for the shorter term tenants that the flexible office industry attracts. The altSpace buildout process can proceed quickly and inexpensively, with minimal TI costs. We only maintain what’s necessary and fit out the space according to your needs. Beyond the superfluous physical elements inherent in a traditional commercial lease, there are also other excessive processes that LiquidSpace removes from the occasion. In addition to our tech-enabled transaction platform, we've developed a method for bypassing the lengthy legal process associated with signing a lease called the DASH License®. DASH is a license agreement that companies can use as their standard, allowing them to use the same legal terms to transact space by the hour, day, month or year. Traditional commercial leases range from 5-10 years. For a lease this large, it often takes many months or up to a year or longer to finalize the lease, complete build-out and get contracts signed. All that translates to vacancy loss – unoccupied space, that’s going to waste and not earning money. This is not so when you deploy altSpace. With altSpace you can make your space work for you. Reduce vacancy loss and monetize your space whenever it’s available, for as short as even a few months. Fill your space with multiple, flexible tenants that can fill these vacancy losses. Don’t run the chance of leaving your space unfilled. LiquidSpace can refresh the altSpace kit-of- parts between tenants, and reuse pieces of the kit as the next tenant moves in. Once you complete one altSpace deal, you can sign on for many others. Fill your space back up with modular elements, to accommodate all kinds of companies. Create a space that is inviting, creative, well lit, productive, energetic, and also flexible. And then consider that the cost of this build out is not high, especially because you can reuse the flexible furnishings between clients. Your tenants get the feel of a custom buildout, without the cost. There’s been lots of job growth of recent and this growth is coming from new companies. These are companies that want flexible, well-designed space for the millennials they employ (who are now the largest portion of the workforce). So get on board with the altSpace solution, and in no time you’ll be able to check out the incredibly compelling space you’ve created, at a low cost. And once you deploy altSpace in one piece of your portfolio, you’ll know the ropes, and can take this solution everywhere. You’ll be known as the building with the awesome space! Start planting the seed of change today. Want to learn more about altSpace? Whether you are looking for space, have space to share, or you want to get involved in another way, you can connect with our team at altSpace@liquidspace.com for more information.